Jerry and Shirley Bergum have been patrons and donors of Brookings Community Theatre since our very first production, Lend Me a Tenor. 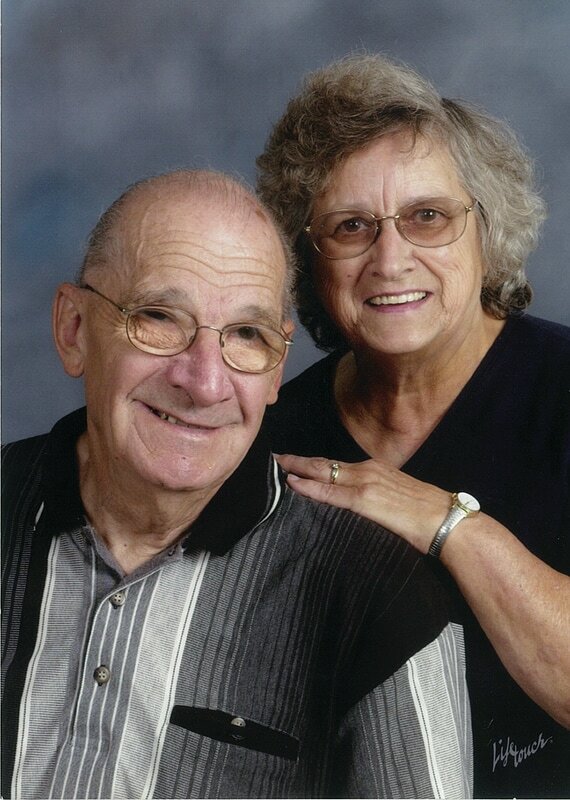 Originally from Spokane, WA, the Bergums moved to Brookings in 1970 when Jerry secured a position at SDSU teaching math and computer science. Shirley stayed busy running an in-home child care business while raising their children. At this point in their life, they’re both retired and enjoy watching television. They both said old movies and westerns were among their favorites. They also attend every BCT, SUT and PRT production that they can. The Bergums have been married for 62 years and they have 10 children, 12 grandchildren and 18 great grandchildren…with another great grandchild to make its appearance any day! In the past 12 seasons of BCT productions, Jerry and Shirley have only missed three shows! Though they both stressed, “They have all been good shows”, they agreed that Nunsense was their favorite. When asked if we would be seeing them on the BCT stage anytime soon, they both chuckled a bit. “Probably not!” stated Shirley, adding “The last time I was on a stage was in grade school. I don’t think I could remember all of those lines!” Not only are the Bergums generous donors but they often provide a pizza party for the cast and crew during the set breakdown after each show. BCT appreciates everything the Bergums do for our organization!